Celebrate Lunar New Year with healthy vegetarian Yu Sang! 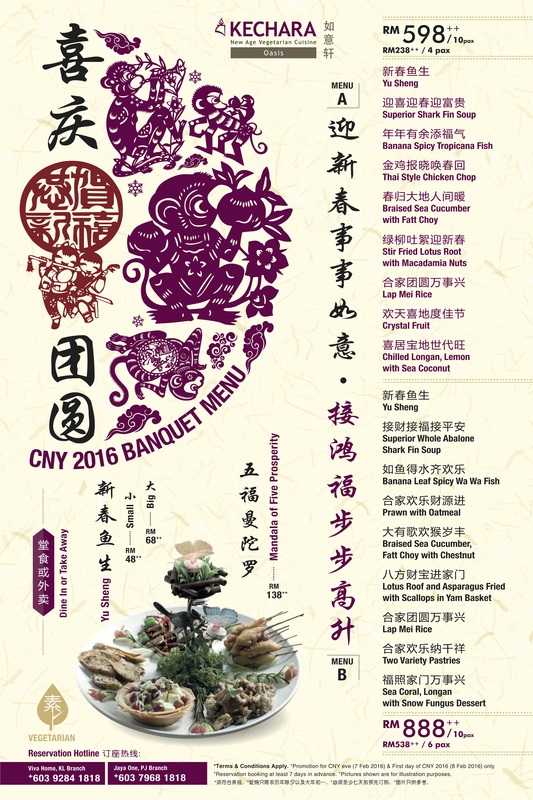 Welcome the Year of the Monkey auspiciously with a sumptuous vegetarian banquet, and dedicate the merits of the lives saved to your loved ones, for their health, prosperity, success and harmony! We offer a choice of Banquet Menus for 10 pax at RM598++ and RM888+. 2016 Spring Promotion is Coming!